Kate Losing Weight: Geocaching, Screams and Bee's... Oh My! Well it was quite an exciting turn of events this evening. Me, my friend, her 7 year old son and my two daughters went geocaching this evening. We went to a campground nestled on the side of the mountain. There was 4 caches nearby and we found the first one no problem. The next one was a bit more tricky we had to cross over a small stream and do some bushwhacking, but it was gorgeous and we were having a ton of fun. I had a backpack and the camera and my roommate had my 10 month old in a baby backpack. We were trekking along when my friend's son says in a quiet voice, "I got stung," and sure enough he had. I've never seen someone (let alone a kid) react so nonchalantly to getting stung. We were about a 1/4 mile into the bush at this point and not at good point to recross the stream. I saw them flying around us and figured we'd better get a move on so we walked a bit farther and came to a dead end. Just as I realized we weren't going to get through any farther my friend yells, "Ouch!" now she was stung. I used the end of the camera to smack the yellow jacket off her back and we decided we needed to cross the stream and get the heck out of there before the baby gets stung. So we start to head across the stream when I feel that sharp pain in my left shoulder and I'm not going to lie, I didn't say ouch, but I did do some yelling. In my excitement I dropped my phone (which I was holding in my hand since it had the geocaching map on it) in the stream, only the end of it landed in the water but it immediately started acting funky and shut off. We all made it safely across the stream and thank God baby didn't get stung. My 8 year old was really jumpy however, she figured it was only a matter of time before it was her turn to be on the bad of end of a stinger. With my phone no longer functioning we decided to head back to the truck. I was wearing my heart rate monitor at the time and the funny thing is of the whole time we were out there the highest it got was 173 which I noticed happened immediately after I got stung, the rest of the time I was 110-140. 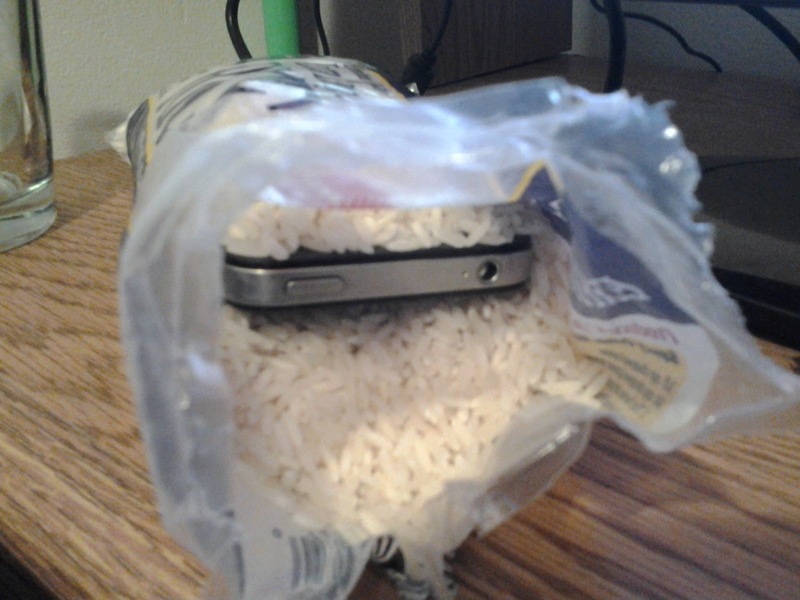 Now safe and sound at home, my phone is taking a rice bath and we're all laughing that the toughest one in the bunch is a 7 year old. All in all it was good times, but we won't be going back for those caches until bee season is OVER!